Children’s parties are the hardest parties I do! Believe me…they’re a LOT harder than an all-day wedding despite only being a couple of hours long! When it comes to children’s parties, just leave the entertainment to me. I’ll entertain your child and their guests with a mixture of fun, music and games and make them the envy of the playground. 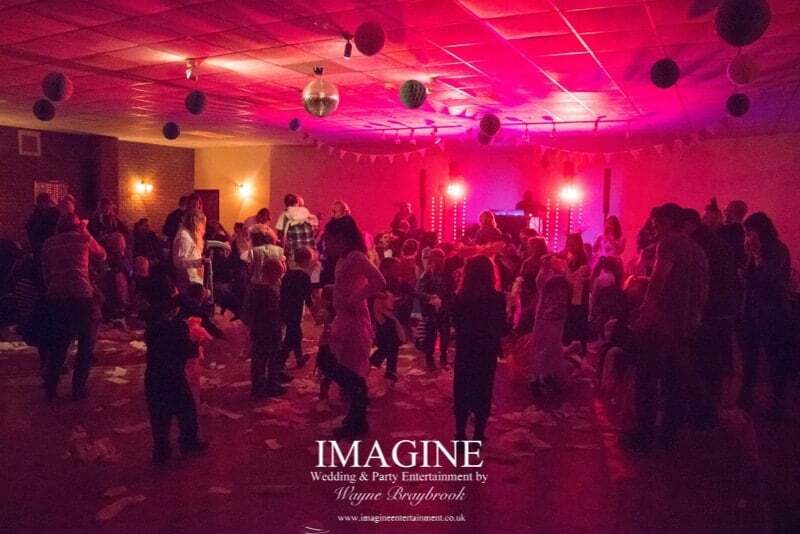 In fact, you just need to hire the venue, provide the food and add kids….it’s as simple as that! 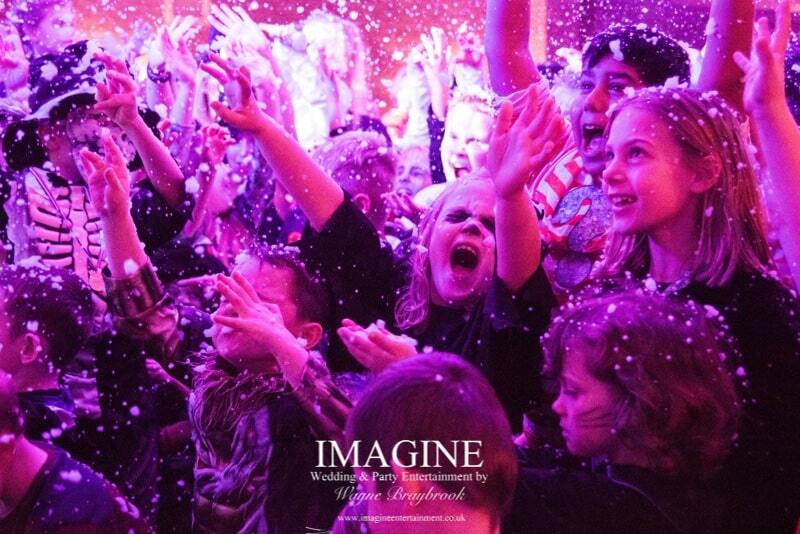 An Imagine party for the under 11’s is full of adrenaline packed fun and games. I spend more time in front of the DJ booth than behind it, playing games and interacting with the children. Children won’t dance for an entire 2-hour party – it’s a fact of life. 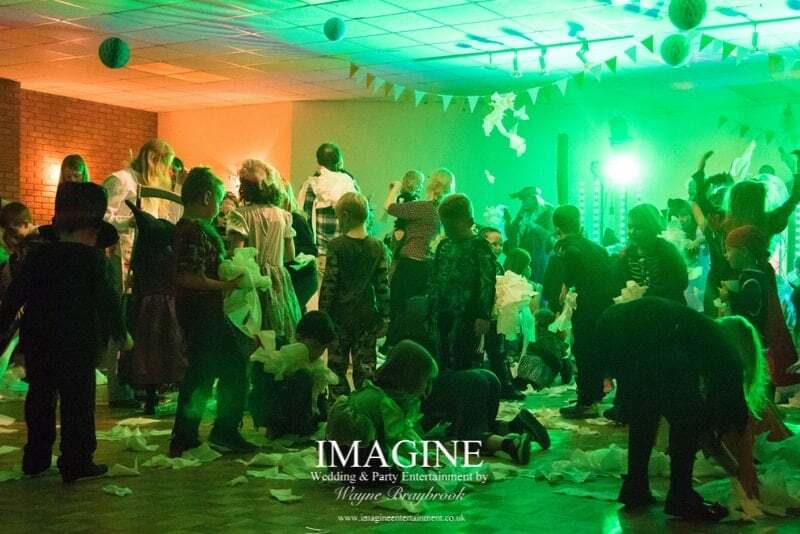 So an Imagine Children’s Disco party includes a whole host of games tailored to the age groups in attendance to keep the adrenaline pumping for the whole party! Limbo – how low can you go? Balloon & Spoon races – it’s like egg and spoon, but a lot harder! Space Hopper Racing – it’s fast, it’s furious, and it’s a lot like the Grand National! Hoops – can you get into the right hoop on time to avoid being knocked out of the game? Musical Clumps – dance until the music stops, and then get into groups of the right number! Wipeout – can you jump the spinning rope without catching it! 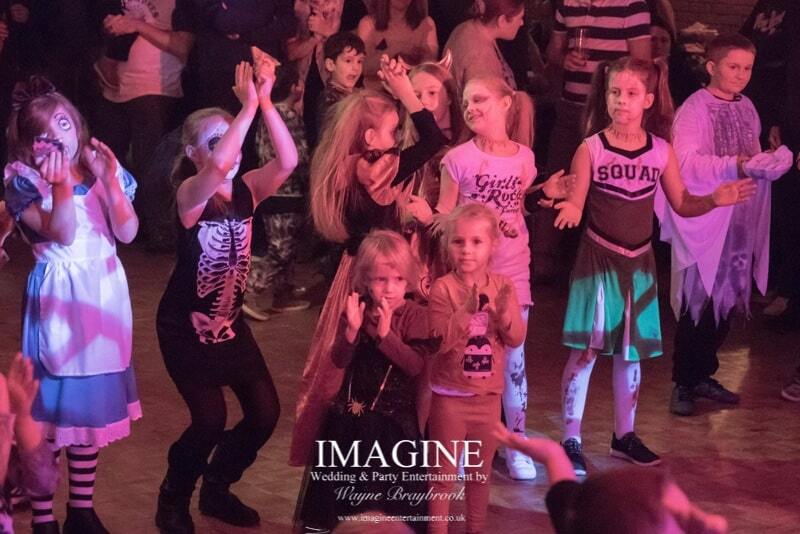 From a mix of the latest chart hits to the silly action dances and even their own selections, all of the music used at an Imagine Kids Disco party is free of sweary expletives….I’ll only EVER play the radio edits of songs and there’s no deviation from that! 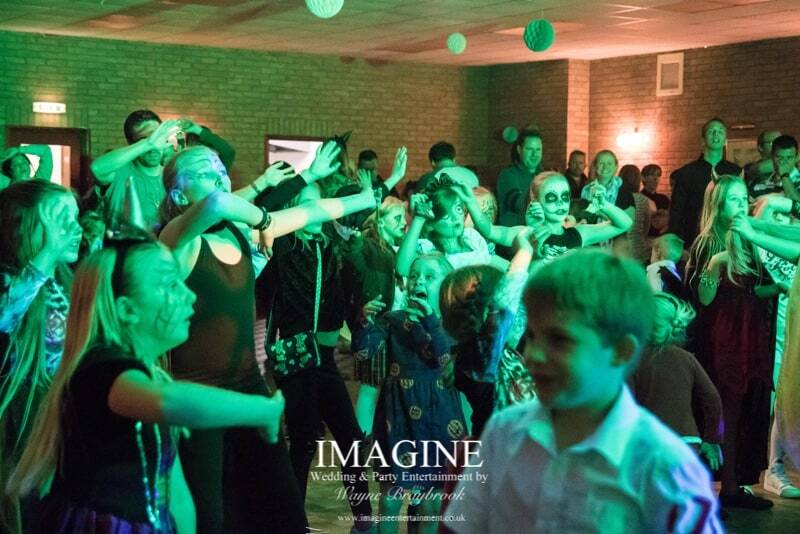 As a general rule of thumb….if, a song has been approved for publishing on a “Now That’s What I Call Music” album, it’s safe to play at a party full of children. I take the safety of your child and their guests seriously! In my spare time, I’m a local Scout Leader – it means I have to know how to work with children in a safe way. 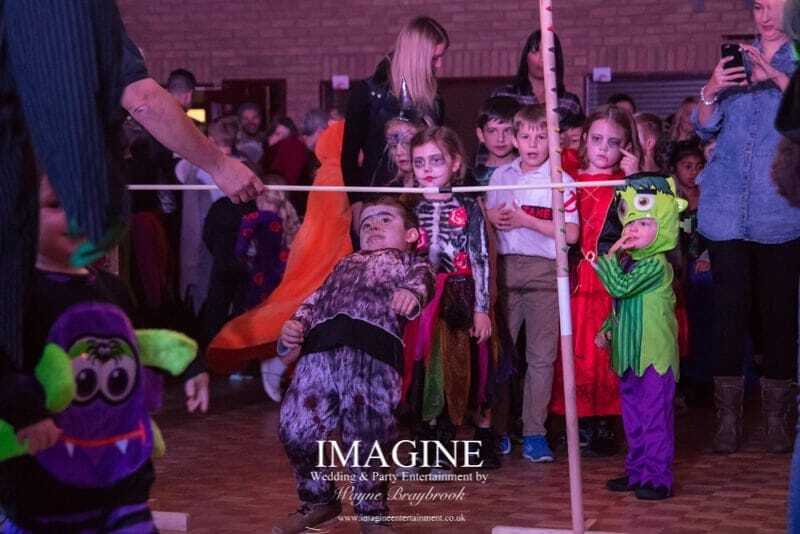 Although my policy is not to take photos at a children’s party, I’ve been kindly sent some images of a recent Halloween Ball which I provided the entertainment for (photo credits to Ian (Lennie) Beech). 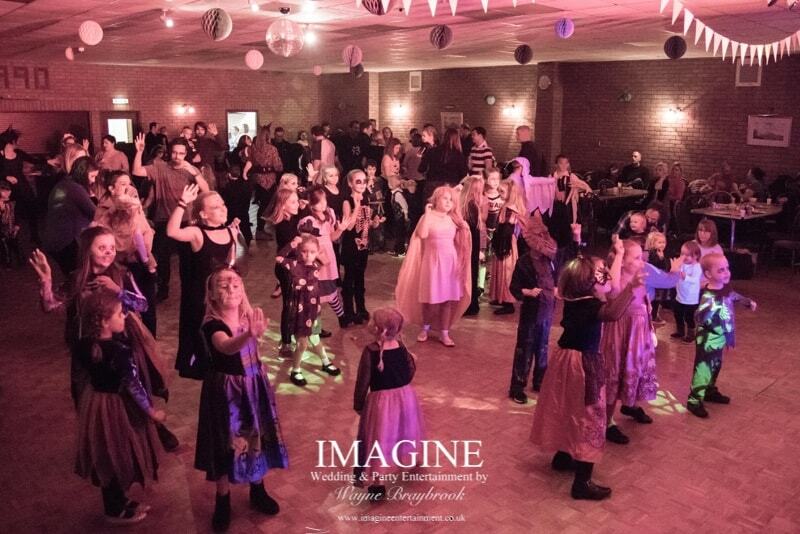 So, here’s an idea of how your child’s party could look! All parties include games, glow sticks, winners medals (every guest will get one as they’re ALL winners! ), snow/bubbles where permitted by the venue and where safe to use, me as your DJ and of course, the necessary sound and lighting for the party. 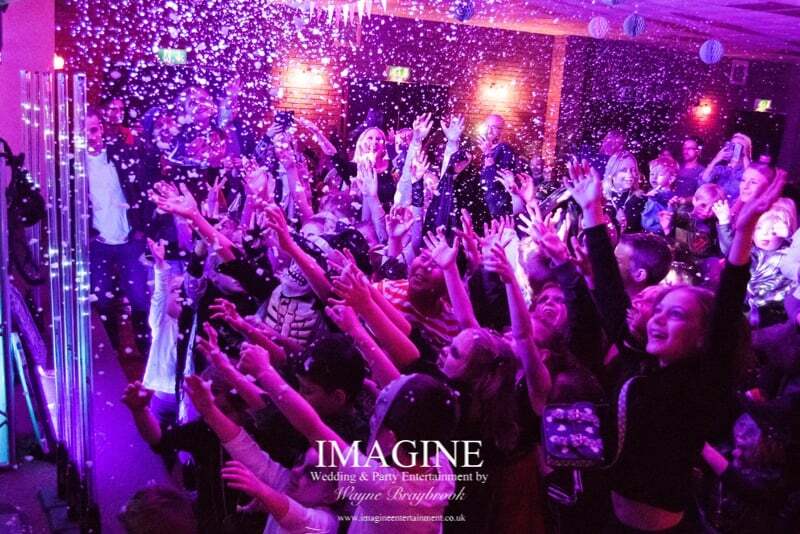 Weekday parties are a brilliant idea….your venue is more likely to be available instead of being booked for an adult function and might even be cheaper. My fee for a weekday party is £150 for two hours of entertainment. Weekend parties may be easier to get guests to attend, but can be more difficult to arrange the venue as this is when adult parties tend to happen – please book your venue before booking me!